For the sixth Olympics running, the United States women’s basketball team is golden. The United States walloped Spain 101-72 on Saturday to win the gold medal in Rio. Spain kept it from getting out of hand early, sticking with the gold medalists for most of the first half. They were within three points with just over six minutes remaining in the second quarter when Geno Auriemma pulled out his ultimate trump card. He plugged in all five of his UConn alumnae – Diana Taurasi, Sue Bird, Maya Moore, Tina Charles and Breanna Stewart – for the first time in the Olympics. The UConn Five sparked a 22-8 run to finish the quarter and put the game out of reach for good. 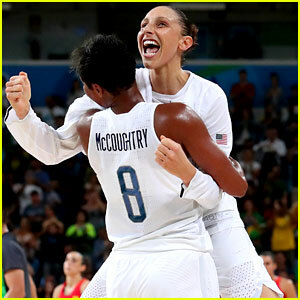 Moore and Taurasi were once again the leaders for the United States as the duo combined for 12 points during the pivotal second-quarter run. Taurasi extended her record-setting pace from the three-point line. She added five more against Spain to finish the tournament with an all-time Olympic mark of 33 triples in a single tournament. She tallied a team-high 17 points, two rebounds, three assists and two steals. Moore did a bit of everything with 14 points, five rebounds, six assists, one steal and one block. The United States' depth proved to be just too much to handle once again in this tournament. The U.S. reserves scored 55 points compared to 23 for the Spanish bench. 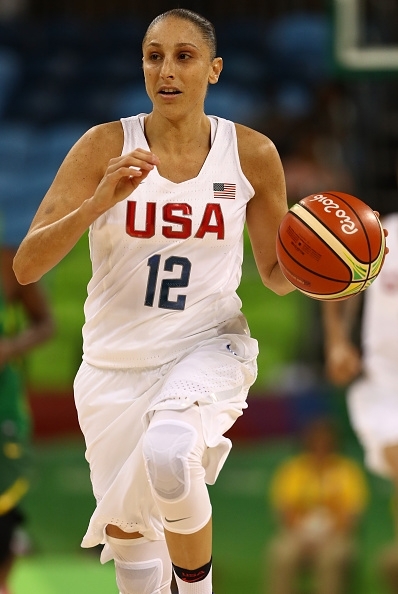 Team USA's Lindsey Whalen was the high scorer off the bench with 17 points. Alba Torrens, Taurasi and Brittney Griner’s teammate in Russia, scored a team-high 18 points for Spain to go along with five rebounds, four assists and five steals. Sylvia Dominguez added 11 points, including a buzzer-beating half-court shot at the end of the third quarter. With the win, Taurasi, Sue Bird and Tamika Catchings all captured their fourth gold medals, tying the record for most Olympic golds in women’s basketball history. They join Teresa Edwards and Lisa Leslie, both of whom won four Olympic titles playing for Team USA. Bird, who was in danger of missing the gold medal game due to a knee sprain, was able to suit up, netting three points, two rebounds, one assist and two steals. Catchings was the lone American not to score but did make the box score with two rebounds. The Rio Games are Catchings', 37, fourth and final Olympics. Bird, 35, and Taurasi, 34, are still among the best players in the world, and the 2020 Olympic are not out of the question. It’s the first gold medal for Griner, Elena Delle Donne, and Breanna Stewart. Stewart is the first player, man or woman, to win four straight NCAA titles followed by an Olympic gold. Geno Auriemma won his second Olympic title as head coach. Auriemma previously won the NCAA title with all five of the University of Connecticut alumnae on the Rio squad. With their second-place finish, Spain takes home silver, their first Olympic medal in women's basketball.